William Henry Gates III, better known professionally as Bill Gates, is an American business magnate, investor, software architect, philanthropist and the co-founder of Microsoft. Bill Gates has a net worth of $97.9 Billion in September 2018, according to Forbes. 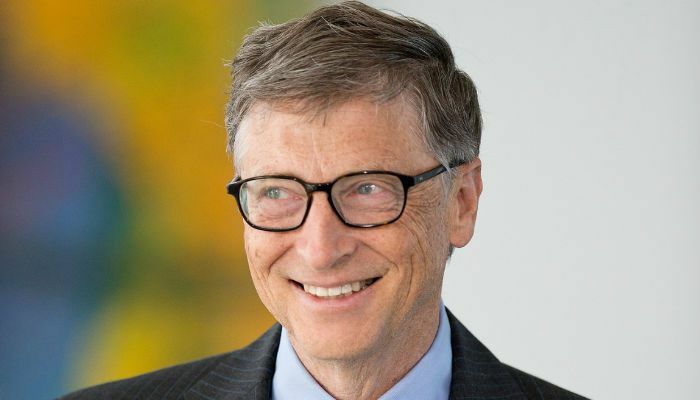 Gates is currently the richest person in the world and in the last two decades, he spent much of his life as the wealthiest businessman on the planet, though he had sometimes gained #2. He is considered as one of the most influential people of the last century. Bill Gates was born on October 28, 1955, in Seattle, Washington, United States. He is currently 63 years old. Bill Gates, at age 13, enrolled at the Lakeside School, where he learned computer programming, BASIC and wrote his first program, tic-tac-toe on the GE system. He graduated from the school in 1973 with National Merit Scholar and scored 1590 out of 1600 on SAT. He then attended the Harvard college in 1973, and chose a pre-law major but took mathematics and graduate level computer science courses. The following year he dropped out of the Harvard to purse his business endeavors. Bill Gates and his wife Melinda Gates together created the charitable Bill & Melinda Gates Foundation, which is identified as the world’s wealthiest charitable foundation. Its value is estimated to be $34.6 billion, which aims to enhance healthcare and reduce extreme poverty worldwide. The Gates was recognized as the second-most generous philanthropists in America, having given over $28 billion to charity and the couple plan to eventually donate 95 percent of their wealth to charity. In 1999, Gates donated $20 million to the Massachusetts Institute of Technology (MIT) for the construction of a computer laboratory named the “William H. Gates Building” that was designed by architect Frank Gehry. In 2010, Gates, Warren Buffett and Mark Zuckerberg singed “Gates-Buffet giving Pledge” committing to donate at least half of their wealth over the course of time to charity. The world’s billionaire Bill Gates lives in an ultra-modern house, named Xanadu 2.0. This unbelievable house is spread over 66,000 square feet featuring seven bedrooms, 24 bathrooms including 10 full baths, six kitchens and the equal number of fireplaces. As a techie, the house is equipped with the state of the art technologies and everything inside the house is automated. It’s no wonder why Bill Gates has acclaimed the wealthiest person on the planet, with an unimaginable net worth of $91 Billion. Like other billionaires, he is an avid collector of paintings, who has spent millions of dollars to decor his house with world’s costliest and rarest pieces of art. Gates is currently the richest person in the world and in the last two decades, he spent much of his life as the wealthiest businessman on the planet, though he had sometimes gained #2. Gates, at his eighth grade in the Lakeside School, wrote his first computer program on a General Electric computer in BASIC. It was a tic-tac-toe game. Gates scored 1590 out of 1600 on his SATs at the school and enrolled to Harvard in 1973 where he met Steve Balmer. He dropped out of Harvard University in 1975 to pursue his own company ‘Microsoft’ alongside Paul Allen. He was arrested for driving without a license and ran a red light. 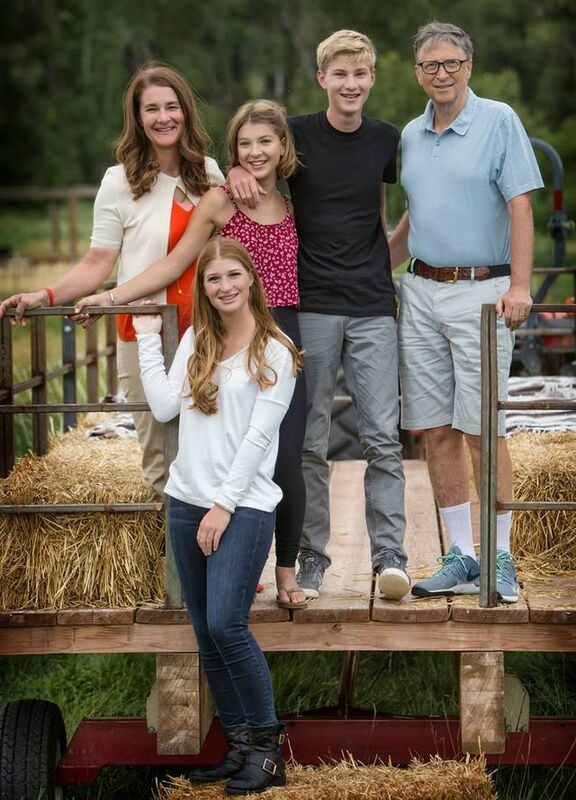 Gates has said that his children will inherit only $10 million each, despite having immense wealth. “Leaving kids massive amounts of money is not a favor to them,” he says. With just a fraction of his wealth left for his family, about 99.9% of his wealth will go for charity. Gates doesn’t know any foreign languages. That, he says, is his biggest regret in life thus far. Bill Gates earns $250 every second, which implies $20 million daily and $7.8 billion annually. If Bill Gates were a country, he would be the 37th richest nation in the world.